This has been the story of Arvind Kejriwal, the most renowned name in Indian Politics from last 3 years. He is the current Chief Minister of Delhi and the Founder of the Aam Aadmi Party. The “Common man” who changed the course of Indian politics forever. Apart from his work as a CM or MLA, he also left the major impact on the workings and campaigning of other parties and politicians. He was able to raise the bar of expectations among people from politicians and the effect was vividly visible during the election. The campaign of major players in politics changed from negative and vote bank politics to work and people oriented one. Rahul Gandhi even gave the statement that “We need to learn from this new emerging party”. This was the extent of the impact he had on Indian politics in such a small period of time. Later, the story of Arvind Kejriwal was even adapted in few bollywood movies. 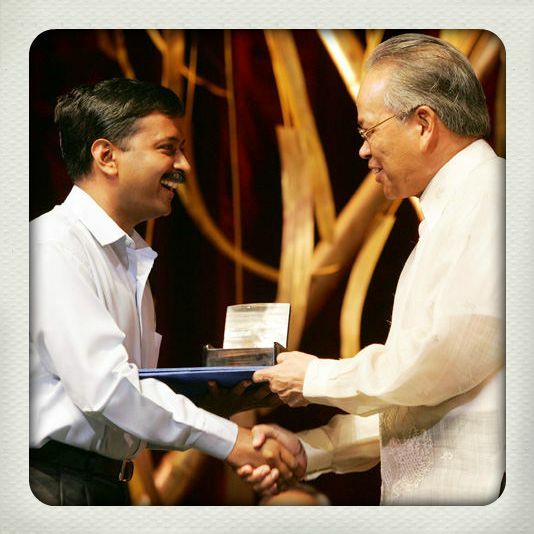 Ramon Magsaysay (Asia’s Nobel Prize) award winner and also declared as the Indian of the year by NDTV and CNN-IBN. 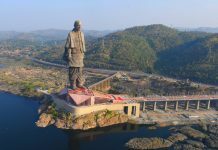 He is regarded as one of the most vibrant social activist, who worked at grassroots level for RTI and regarded as one of the most important social activist against corruption and crony capitalism. Later, he donated his Magsaysay award money to improve his NGO “Parivartan”. 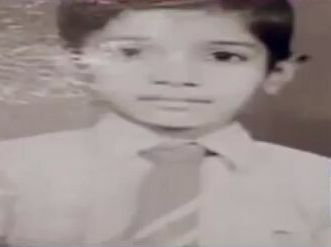 Arvind Kejriwal was born on 16th August 1968 in Siwani, Bhiwani district of Haryana. He belongs to a financially sound middle class family. His father, Mr. Gobind Ram Kejriwal was an electrical engineer who got a lot of transfers during his service period. Arvind changed many schools because of his father’s professional transfers. His mother, Gita Kejriwal is a housewife and played a vital role in shaping his ethics and career. Arvind has a younger brother and a sister. His brother also donated a lot during formation of the Aam Aadmi Party. He was born on Janmashtami (birth day of Lord Krishna) and one day after the Independence day of India, was also given nickname Munna by his parents. During his college days he used to enjoy the movies with his group of friends. He met Sunita Kejriwal, in civil services training period. They joined IRS together and later decided to marry and presently have two children a girl and a boy. Harshita Kejriwal is the elder child and cleared IIT exam like his father, while his son Pulkit Kejriwal is still in school. Arvind Kejriwal was diagnosed with diabetes and is practising the Vipassana meditation technique for many years. Arvind was a very well known scholar from his schooldays. He did his schooling form Siwani and Ghaziabad. According to his mother, Kejriwal was so focused towards academics that he used to study in bathroom when there were guests at their home. Seeing his avidity and fidelity towards academics, his grandfather Mangal Chand Kejriwal wanted him to be a doctor and even bought a land in Hissar, Haryana to build a hospital for his practice. However, it was his seniors who joined IITs that he used to look upon, so he cleared JEE exam and completed his graduation, in Mechanical engeneering from IIT Kharagpur. 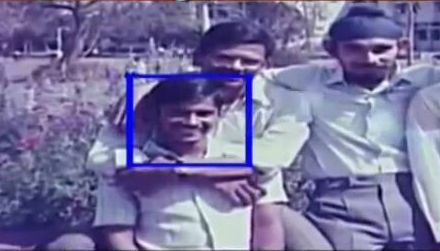 After completing his graduation, he was hired by Tata Steel in 1989 to work as Mechanical Engineer in Jamshedpur and worked there for almost 3 years. He had inclination to work in Social welfare department of Tata Steel but he was not allowed. Thus finally he resigned from Tata Steel in 1992 and decided to prepare for IAS exams. In 1995, he cleared Civil Service Exams to join the civil service in revenue department. In 2000, he took a paid leave for 2 years to pursue higher education. 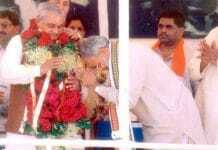 Later, he joined in 2003 but resigned after 18 months with a vision in his mind of doing something for nation. This came as a shock to his family and relatives as it’s very rare that someone would leave the post of Joint Commissioner of Income tax in New Delhi at such a young age. In 2000, he took a paid leave for 2 years to pursue higher education. He later joined in 2003 but resigned after 18 months with a zeal of doing something for nation. Everybody was quite shocked in his family and relatives when they came to know that this young man left the post of Joint Commissioner of Income tax in New Delhi. Kejriwal was always obligated towards social work and nation welfare. He even met Mother Teresa for the guidance and wanted to work for this society. In the early days, he worked in RamaKrishna Ashram, Kolkata and spent few days in Nehru Yuva Kendra as well. He started an NGO named “Parivartan” with few other social activists including Manish Sisodia, for which he developed a website and invited people to take part in this initiative. They together helped a lot of people to get rid off from the problems of ration, electricity, pensions and corruption. In beginning, they used banners to spread the word about their social NGO “Parivartan”. He started numerous protests in various ways against the misconduct of government. In 2011, he directed the most important movement in modern politics IAC (India against corruption) along with Anna Hazare and Kiran bedi which was the first and most important step towards his political carrier. The movement’s main aim was to curb high rate of corruption in India via JanlokPal Bill. The movement gain huge support of people from around the country and gained popularity through social and mainstream media. The government got ready to pass JanlokPal Bill but due to many issues, the bill could never be passed. He also fasted and performed Dharnas to force government to take steps on corruption but never achieved success. After all the efforts and applying pressure from outside he got the sense that this situation can only be fixed from inside and decided to take bull by the horns by joining politics. Though, this move was not appreciated by Anna Hazare as he wanted to fix this without entering into politics. Arvind Kejriwal founded a political party on 26 November 2012 after receiving many suggestions party got the name Aam Aadmi or common man- Aam Aadmi Party. He launched an aggressive campaign against Congress government of Delhi under Sheila Dixit in March 2013.The campaign gained enormous support of people from all over Delhi and many people joined the movement voluntarily with huge support from the youth and social media. He organized a lot of Nukkad Sabhas and promised to deliver on many things which any government is unable to do till date. He portrayed his image as a common man and connected to the people at most basic level. His articulated speeches were very unique as he used to present the problems in society as seen from the perspective of the common middle class person. His views and ideas got huge support throughout the country and inspired a lot of Indians. During the election campaigning the supporters of AAP were seen all around Delhi in their unique white caps with famous “Broom” in their hands. Finally on 4th December 2013, Delhi Elections took place in which Arvind Kejriwal was standing against 3 times Delhi CM Sheila Dixit from New Delhi constituency. 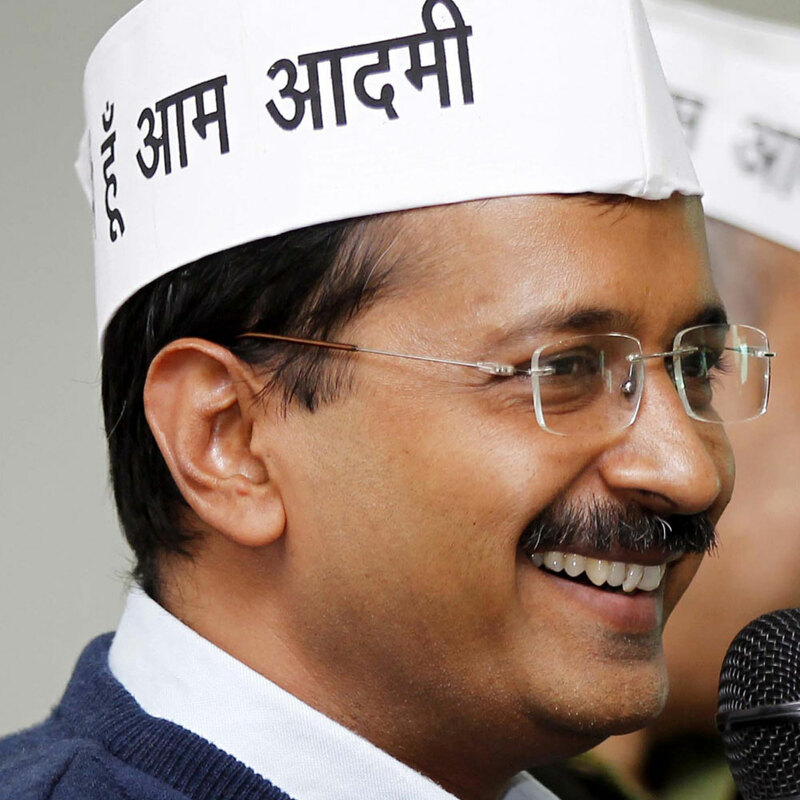 On 8th December, Arvind Kejriwal defeated the CM Sheila Dixit by a huge margin and the Aam Aadmi Party won 28 seats. This was a historic win in the history of the Indian politics as no party grew so rapidly and won such significant amount of seats in their first elections. Both BJP and Congress who won 32 and 8 seats offered support to AAP. Thus AAP finally made government in Delhi on 28th December 2013 with the support of Congress. 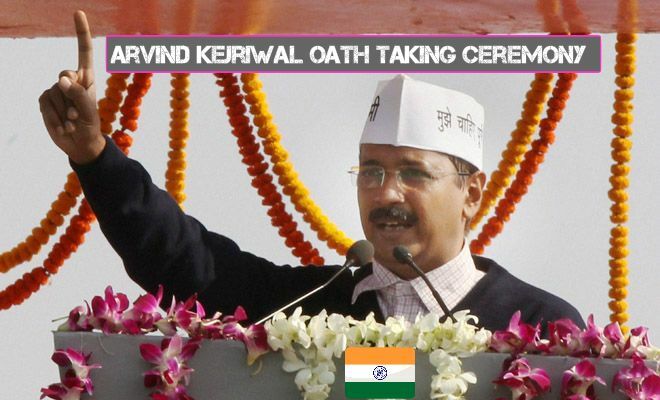 Arvind Kejriwal took oath in Ramlila Maidan as 7th Chief Minister of Delhi. 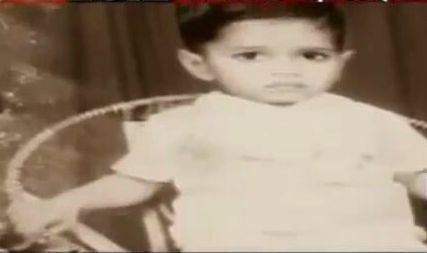 He became the second youngest CM of country. He fulfilled his promise on electricity and water bills during the early days of his regime, many officers got transfers and many corrupt officers burnt scam files and reports. The weaker section of society got a big relief as they didn’t have to pay bribes to get their work done. The working of Government offices improved in Delhi during his short tenure. 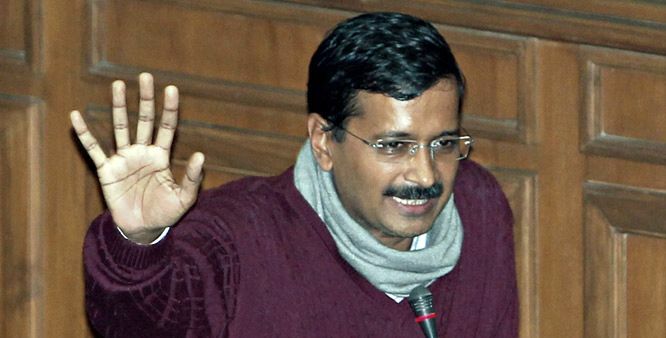 Mr. Kejriwal is the 2 most followed Indian Politician on microblogging website Twitter with over six million followers. Arvind Kejriwal also warned power authorities to fulfil the electricity needs of country otherwise they’ll bring some other power companies in Delhi. The party decided to pass JanLokpal Bill but was failed as Congress and BJP stood together against the bill passing procedure. 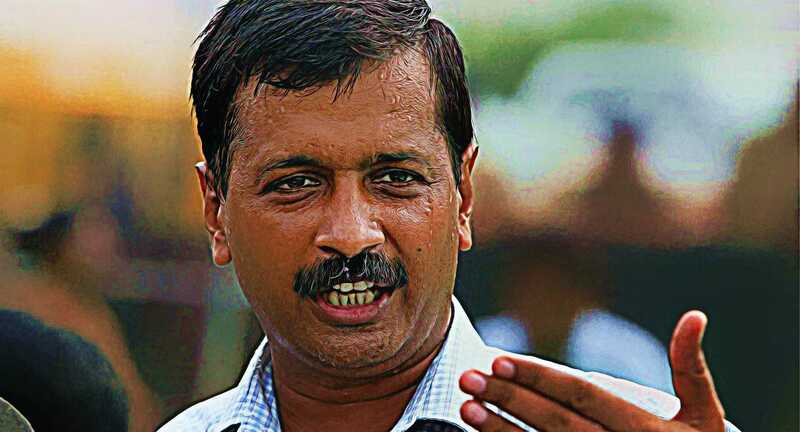 Finally Arvind Kejriwal resigned in 49 days on 14th Februry 2014 since he failed to get the JanLokPal Bill passed because of BJP and Congress. He also sat on Dharna despite of being CM to force congress for passing bill. 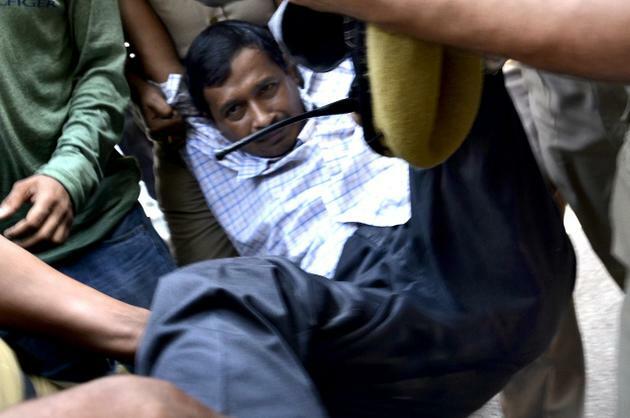 According to many surveys people still believe that 49 days were best but Arvind Kejriwal shouldn’t have resigned. He decided to fight elections in Lok Sabha 2014 against Narendra Modi (PM candidate from BJP) and contested all around the country but was not able to make major impact in Lok sabha elections. After Lok Sabha elections, some former members left the party and Arvind Kejriwal even went to jail in a case of defamation against Nitin Gadkari. The party faced many internal conflicts and was at its nadir since formation. 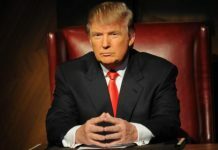 Many political pundits ridiculed the party and their leadership and people thought that the party would never recover. However, Arvind decided to open Mission Vistaar to work again from grass roots level .He humbly accepted that contesting nationwide was a mistake, apologised the people of Delhi and asked for one more chance. 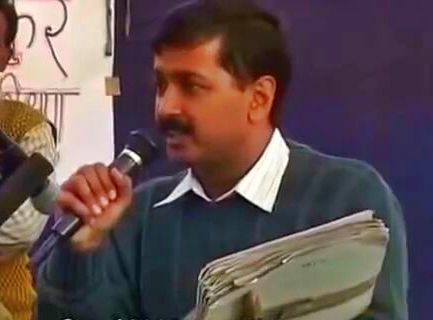 On 3rd August, Arvind Kejriwal organized a rally at Jantar Mantar demanding fresh elections in Delhi and requested people to give decisive mandate. The Aam Aadmi Party rally at Jantar Mantar saw a grand turnout with a sea of white Aam Aadmi Caps flooding Jantar Mantar. This rally was a huge success for AAP and was joined by many celebrities as well. Moreover as soon as Delhi Elections were announced, Arvind Kejriwal again rebuild the foundation of his party with new manifesto for 2015 Delhi elections. 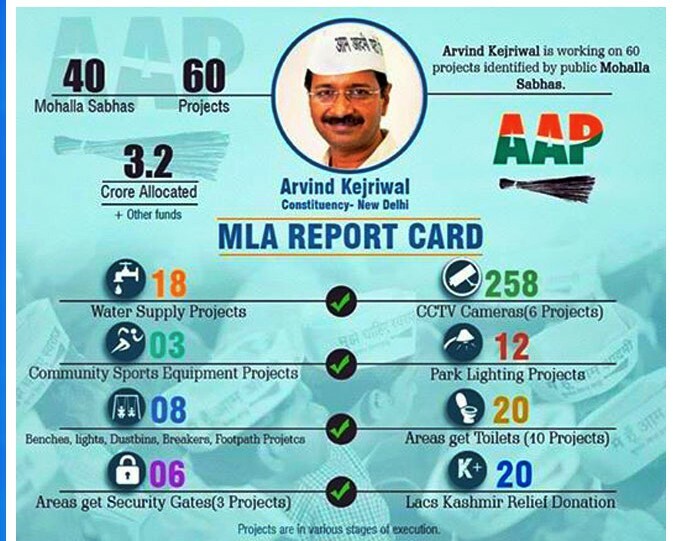 Arvind Kejriwal worked a lot as an MLA. He held several Mohalla Sabhas in his New Delhi legislative constituency to know the problems of people and area. He carried out 60 projects and many projects had been successfully implemented in a short time. After the resignation of Arvind kejriwal, Delhi remained under President’s Rule for about a year. On 4 November 2014, the Lieutenant Governor of Delhi Najeeb jung recommended the Union Cabinet the dissolution of Delhi assembly and conduct fresh elections. On 12 January 2015 the Election Commision announced that state assembly elections would be held on 7 February 2015 with results being announced on 10 February 2015. AAP registered one of the most historic victory in the history of Delhi elections by wining 67 out of 70 seats and Arvind Kejriwal took oath as 8th CM of Delhi. Despite of all the belittlement he faced and condescended attitude towards him from his rivals, he emerged against all the odds and had the last laugh. Presently he is going excellent job as a CM and after joining he again cut the water and electricity tariffs and people of Delhi are happy under his rule. 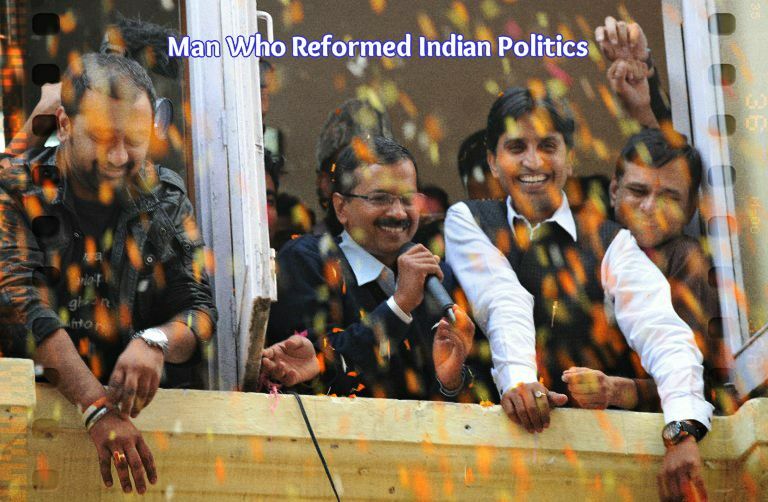 #MufflerMan – Arvind Kejriwal became famous as Mufflerman. The campaign of branding Arvind Kejriwal became very famous via #Mufflerman. Asia’s most inspiring & young social change maker at World Brands Summit. No any other politicians have this type of quality still now in Indian history. Inspiring story for all the young generations who can differentiate the actual facts nd the fake stories made by the paid media. He has given the disruptive solution to Indian politics. Very very good. Though this man would never be appreciated due to paid media, such neutral article makes a difference, though little! He is great man of this era, a grt inspiring human being. great written for a great man… he is my inspiration… welldone..
ईश्वर आप की रक्षा करे! ..Hope one day he become PM of INDIA with full majority . Inspiration for millions, Arvind The Real Naayak.. Thanks Anurag ji for this biography. great person… proud to be a supporter of AK…? very inspired by the biography. You did very good job! India needs a person like you. keep it up! Thank you so much Bobby for the feedback. I am glad you liked by writing.